Aljoša Dekleva, M.Arch (Dist) AA has graduated from Faculty of Architecture, University of Ljubljana, Slovenia and received Master degree in Architecture with Distinction from Architectural Association, School of Architecture, London. At the AA he co-founded an international architectural network RAMTV. Their master thesis on mass-customisation in housing Negotiate my boundary! was published first by AA Publications, London and later by Birkhauser, Basel. With Tina Gregorič, he directs Dekleva Gregorič architects, an architectural practice based in Ljubljana, who pursue the concept of research by design and design by research. Their aim is to challenge the obvious. In 2014 they were both leading the research and design group “nanotourism” within the Biennial of Design BIO50 in Ljubljana, where they received the highest award “The Best Collaboration”. Since 2014 he runs an experimental teaching and research programme AA nanotourism, part of Visiting School at Architectural Association. In 2016 Aljoša and Tina were curators of Slovenian national pavilion at Venice Architectural Biennale. As a guest professor, he was teaching at Université de Montréal and at ENSA Paris Val de Seine. 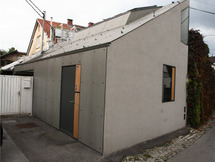 The work of Dekleva Gregorič Architects received several international and national awards: Silver Plate of the Luigi Cosenza European Architecture Award for XXS House; Nomination for Mies van den Rohe Award for KSEVT Cultural Centre of EU Space Technologies; Plečnik’s medal for Metal Recycling Plant; WAN House of the Year 2015 Award and commended in prestigious AR House Award 2015 by Architectural Review for Compact Karst House. 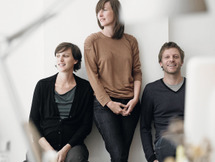 In 2005 they received WALLPAPER* award, Best breakthrough designers. In 2012 they were Highly Commended for “21 for 21 WAN AWARDS”, listing the 21 architects for the 21st century. In 2016 Museum of Architecture and Design in Ljubljana has published a book on their work titled “Home by Dekleva Gregorič architects”.